Express Media rents 4K and HD Digital Video Recorders and VTRs in all HD formats. 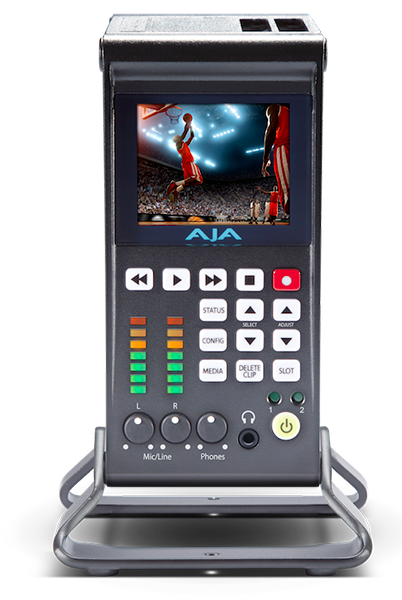 We also have a full selection of legacy standard-definition VTRs in stock. Express Media rents DVRs in a variety of formats, including 4K DCI, UHD, HD, and SD. Express Media rents VTRs and players in formats including HDCAM, DVC-PRO HD, HDV, Digital Betacam, and DVCAM. Express Media is an official reseller of G-Tech drives. Small, portable, USB drives; Thunderbolt connectivity; RAID arrays; or the new G-Speed Studio drives, call us for best pricing on all G-Tech products!